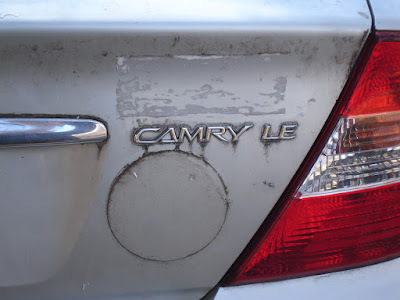 Last week when Rick and I were at King of Prussia Mall, we returned to the parking lot and found that our Obama bumper stickers had been ripped off our car. 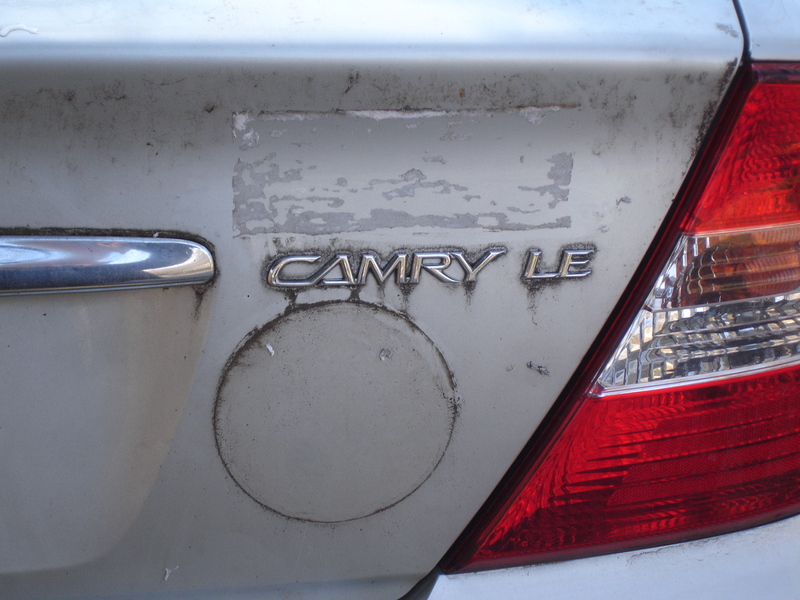 One sticker was a really nice round rubber bumper sticker from 2008 that I had to make (what was for me) a large contribution to get. 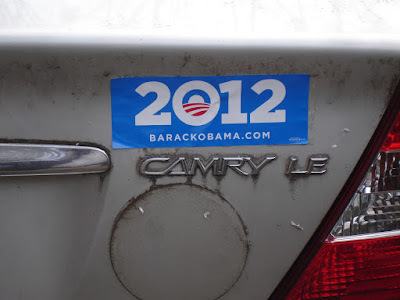 The other was a paper bumper sticker which the Obama campaign was apparently sending out to all the 2008 donors. Fortunately, I received two of them and was able to replace one bumper sticker. That round sticker will be impossible to replace; we’ve been driving around with it for almost 4 years, including some deep red state areas—-southern Ohio and Indiana--with no problem. My response was to make another online donation to Obama campaign and to buy several more bumper stickers. Has anyone else out there had his experience? On February 4, a friend gave me 2 primroses. 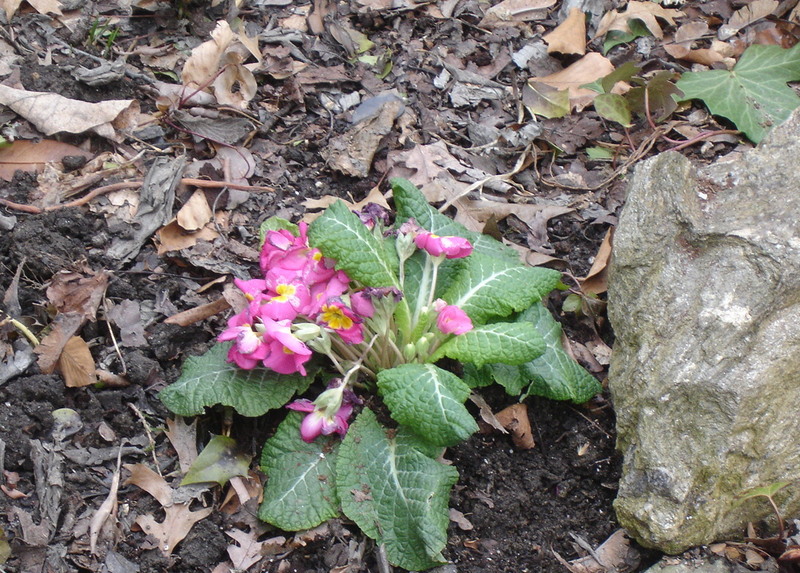 On Feb. 5, I took a big gamble and planted them. Incredibly the ground was not frozen—as it usually is in early February. I didn’t expect the primroses to survive; their little roots would be vulnerable to the first frost. 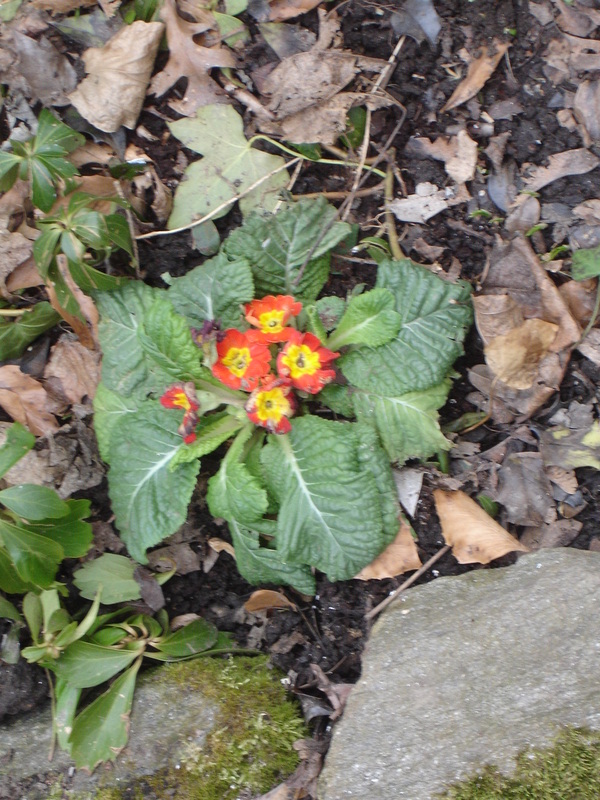 But they survived our light snowfall last week and although a bit bedraggled, the primroses are alive and well. As an old person, unlikely to be on this beautiful planet for much longer, I am enjoying our mild winters. This is like a Seattle winter with a bit of sunshine. But what does all this mean??? 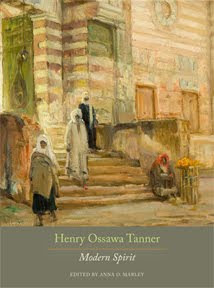 Henry Ossawa Tanner exhibit at the Pennsylvania Academy of the Fine Arts! Before we retired, my husband Rick and I could never get it together to attend an exhibit at the Philadelphia Art Museum until the very last day. We were contending with huge crowds of procrastinators and we vowed that when we retired, we would make sure this didn’t happen. Unfortunately, we didn’t kick the bad habit in retirement. Last fall we went to a Rembrandt exhibit the very last day and once again spent time waiting in long lines and putting up with crowds. We once again vowed this will not happen again—after all, we’re retired; there’s no excuse. I’m happy to report that we finally did it right with the Henry Ossawa Tanner exhibit at the Pennsylvania Academy of the Fine Arts. We went a few weeks after it opened on a weekday and were among the very few museum- goers. We really had a chanced to enjoy the exhibit. However much as I liked not having to deal with crowds, it was a little disturbing that this first rate exhibit was so sparsely attend. Sure hope it’s different during the week end. The subject of this exhibition is the career and life of the artist Henry O. Tanner (1859-1937) - including the pioneering African-American artist’s upbringing in Philadelphia in the years after the Civil War; the artist’s success as an American expatriate artist at the highest levels of the international art world at the turn of the 20th century; Tanner’s role as a leader of an artist’s colony in rural France and his unique contributions in aid of American servicemen to the Red Cross efforts in WWI France; his modernist invigoration of religious painting deeply rooted in his own faith; Tanner’s depictions of the Holy Land and North Africa interpreted through comparison with contemporary French orientalist painting and photography; and the scientific and technical innovations of the artist’s oeuvre. Henry O. Tanner was a student at the Pennsylvania Academy of the Fine Arts from 1879 to 1885. PAFA is proud to organize this exhibition, and especially to elevate Tanner’s reputation through new scholarship and to bring his greatest works together for the first time in a generation. See the slide show of Tanner’s paintings at the PAFA website to get some sense of the range of Tanner’s work. His portraits are really powerful and the portrait of Booker T. Washington alone is worth the price of admission. Don’t miss this one!